As I prepared for my hike, I read so much about how Georgia is challenging and how many people it takes out. I actually found the terrain to be pretty gentle. The weather was a different issue entirely, but the path itself didn’t take me to the edge. North Carolina has been the real wake-up call. 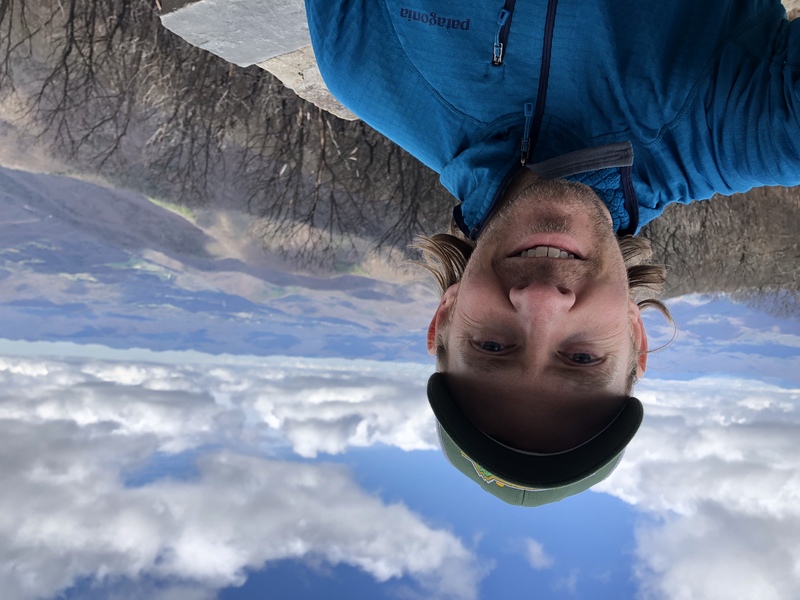 I crossed into North Carolina on March 27, and it felt like the trail immediately changed. There were more obstacles on the trail, and after you go past the twisted oak tree (I didn’t take a picture of it because the weather was crap and I had a mood to match), the trail goes straight up two separate hills. I mean straight up. The views are great, the payoffs for the climbs are amazing, but the terrain and the trail really kicked it up a notch. And despite my best efforts, it’s gotten to me a bit. I spent probably my least favorite night on trail so far at Standing Indian Shelter. It was wet without being rainy because we were once again living in a cloud. After a day apart, I was reunited with the four guys I mentioned in my last post (Red Coat @mark_c_redhead, Sherlock @lobatleid, Achilles @benjamin_br0, and The Prophet @prophetsadventures), and I was also getting to know Paul, who has since started hiking with us. It was wet all night, the non-rain falling on the roof of the shelter was so loud, and I was getting spooned by some German guy whose name I never learned. But the next day, the sun came out in the middle of lunch, and I have never seen people get as excited about the sun as we were at that moment. Views for days from Wayah Bald. After that, the sun was out for days, and everything was glorious. 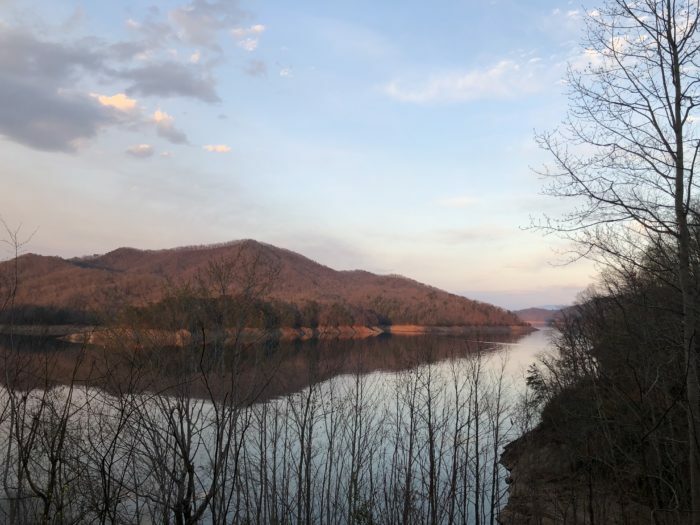 We spent an afternoon in Franklin, N.C., that included lots of beer, lots of food, a good resupply, a pretty weird hostel experience, and our first time wandering around a town like hiker trash. 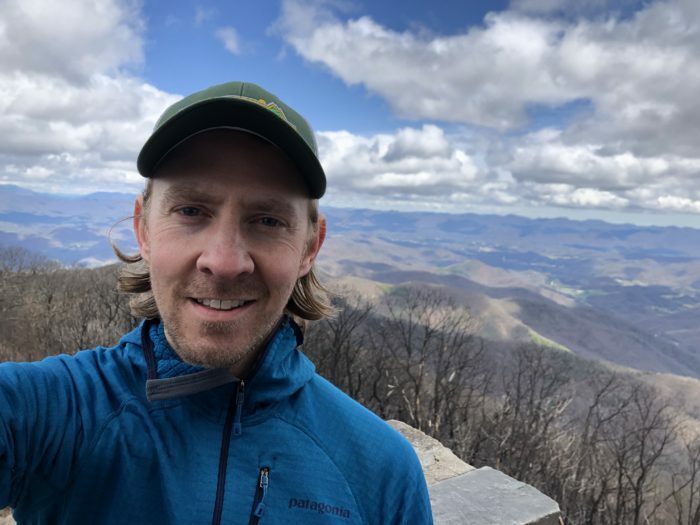 The days after that were full of big climbs and big drops into and out of the NOC (Nantahala Outdoor Center), all topped off with Jacob’s Ladder, a notoriously difficult climb that we did at the end of a 16-mile day. We got to the Fontana Hilton (this is the shelter next to Fontana Dam, where the trail enters Great Smoky Mountains National Park) on Monday, April 2. The Fontana Hilton is a trail highlight. It’s a big shelter – sleeps 20 – there’s water, showers, and it’s right on Fontana Lake. Most hikers resupply at Fontana Village and hang out here before they enter the Smokies. We had a great night here. Perfect weather, tents pitched close to the lake, and a great time chatting with hikers we would spend the next several nights with in the Smokies. Golden hour at the Fontana Hilton. We walked into the park on Tuesday, April 3, and planned to do the section in five days. My pack was heavier that it had been up to that point, with five days of food. The ascent to the ridge was long and gradual, but still difficult. My pack (ULA Circuit) is designed to comfortably carry only a certain weight, and I was pushing that limit. 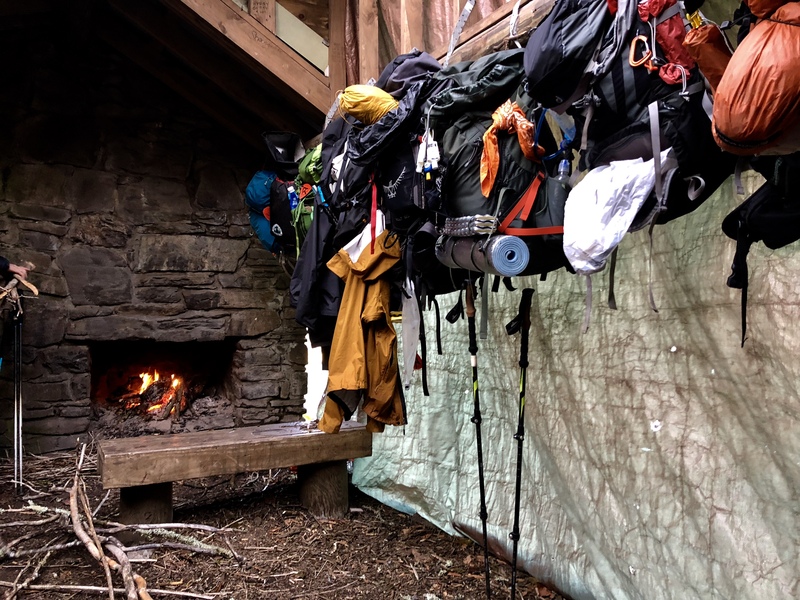 In the Smokies, thru-hikers are required to stay in shelters that are on the trail, so we spent four nights in the shelters. I quite like the shelter experience. If you’ve got a good group of people in them, it can be really fun. And the shelters in the Smokies have fireplaces. It doesn’t do an excellent job at heating the shelter, but it adds a lot of character. The terrain in the park was especially challenging at times and peaceful at others. Our first night in the park gave us a great thunderstorm. We hiked some of the most challenging terrain in intense fog on the second day. The sun came out and the views came with it later that day. 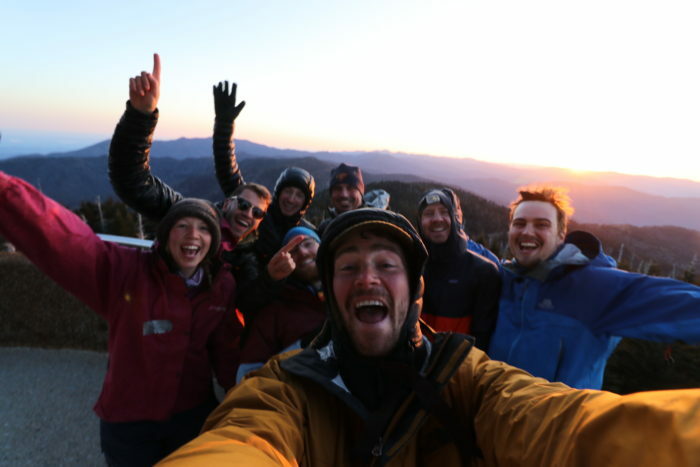 We night hiked for three miles to see the sunrise on Clingmans Dome, the highest point on the AT (6,644 feet). It was spectacular! We got a completely clear morning, and a ridgerunner told us later that day that there are only 40 clear days on Clingmans every year. Miserably cold and windy atop Clingmans Dome, but worth it. It’s hard to find words to describe the beauty of the Smokies. The forest was so many different things every day. It would be eerily silent, then filled with birdsong; howling with wind, then around a bend would be calm and dappled with sunlight. Parts were very reminiscent of the Adirondacks in New York. We passed through the forest just as spring was starting to take hold, and seeing life in transition was a constant reminder to me that spring is actually coming, even though it seems like it will never actually arrive. We walked out of the Smokies today and directly into a minivan that whisked us away to Asheville, N.C., to Paul’s (Chili Dog) house, where we are taking a zero tomorrow. I’m so happy that Paul has become a part of our trail family. He has lifted my spirits so many times when I’ve been down; he’s always got us laughing, and now we are spending two nights in his home in Asheville. I mentioned earlier that the trail had gotten me a bit. Well, despite my efforts at taking it easy in the beginning, carrying less weight, and stretching and rolling my muscles at the end of each day, I’m dealing with some swelling and pain in my left Achilles tendon. I felt it for the first time halfway through our first day in the Smokies. I’ve dealt with this before (overuse because of a backpacking trip) and know that it can be bad. But for now I’m at Paul’s resting, not carrying any weight, hitting the ice pretty hard, and giving that tendon all the love it needs. I don’t know what will happen tomorrow or the next day, but I know that I may not like the outcome if this doesn’t start to feel better. But today I’m going to rest, take care of myself, hang out with my friends, and (most importantly) eat. Also, I’m officially “Goldilocks” now. Or “Goldie” if you’re lazy. I kind of love it.